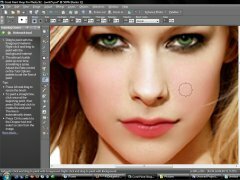 All Tutorials / Tagged with "skin"
Curves, Gradient Maps & Saturation: LASTSUNRISE.NET. Step-by-Step guide on how to do a 'Virtual Makeover'. Learn how to use different tools and techniques to make a beautiful studio photo. I used Adobe Photoshop CS3. This tutorial will teach you how to give yourself a tan.